The Walking Dead: The Final Season has begun and Shacknews has some questions before continuing Clementine's last story. The following contains spoilers for 'Done Running,' the first episode of The Walking Dead: The Final Season. If you have not played this and wish to avoid spoilers, turn back now. The end has begun for Clementine, as Telltale has kicked off The Walking Dead: The Final Season. 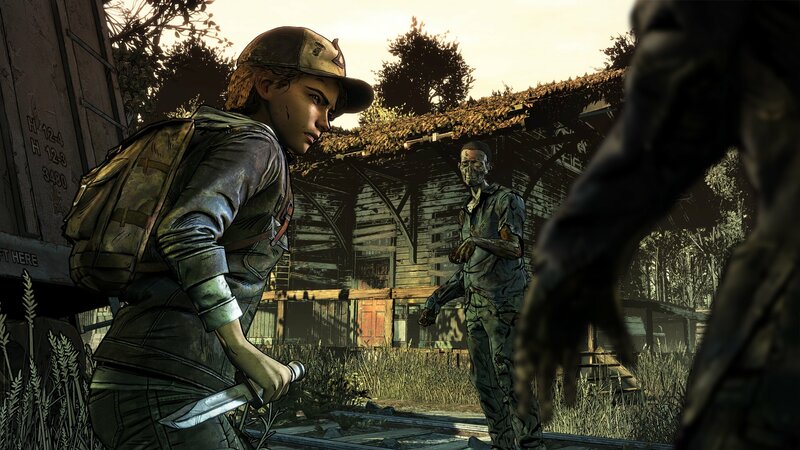 The first episode has established the new status quo, where Clementine isn't the only battle-tested kid trying to survive a world filled with walkers. She's found an entire boarding school filled with equally hardened youths. The end of the episode has led to some intriguing questions. Today, Shacknews is going to analyze a few of those, while we wait for the next episode to release in September. Who are these raiders that Marlon set up a deal with? In the world of The Walking Dead, finding a place as seemingly-utopian as Ericson's Boarding School for Troubled Youth often turns out too good to be true. Anything that looks like a perfect society always has its problems. We've seen that in the Telltale game quite a bit, too, with Richmond from A New Frontier being the most recent example. In the case of Ericson's Boarding School, it turns out that former leader Marlon has been striking deals with a band of raiders. He's been trading in members of his own camp in exchange for some sort of immunity. Clementine ran into Abel, one of the raiders, during her raid at the train station. There's a good chance he's still alive, which made Marlon and Brody realize that the raiders are still hanging around and likely getting ready to return. But who are these guys? And what's the nature of the deal that Marlon struck with them? Rememember that Marlon has been bringing in the safe zone more and more. Players who opted to go fishing with Vi and Brody heard from Vi that she was supposed to be in the greenhouse with Sophie and Minnie the day they were supposedly killed. The greenhouse was since conspicuously removed from the safe zone. Are the raiders claiming territory from the Ericson's kids? And are they coming for more land? Are Sophie and Minnie still alive? Here's what we know about Tenn's twin sisters. Marlon and Brody told everyone that they had been killed by walkers on a supply run gone wrong. That turns out to be false. On their fishing run, Brody stuck to this story, saying that Vi blamed her for what happened. After Clementine told everyone that she ran into Abel, Brody had a panic attack. Not so much because they found an adult, but because the lie was about to unravel. Later that night, Clementine finds Marlon and Brody arguing in the basement over the returning raiders. That's when Brody revealed the truth about handing the twins over to the raiders. But wait! They simply said they handed the twins over. There's no mention that they were killed. So are they still alive? Are the raiders holding them captive? And if they are still alive, why are the raiders keeping them around? This will likely tie into the above question, but it's worth keeping in mind that Tenn's sisters may not be as dead as he thinks they are. What happened at McCaroll Ranch? I made note of this in my impressions piece, but very little of what happened in A New Frontier was mentioned. 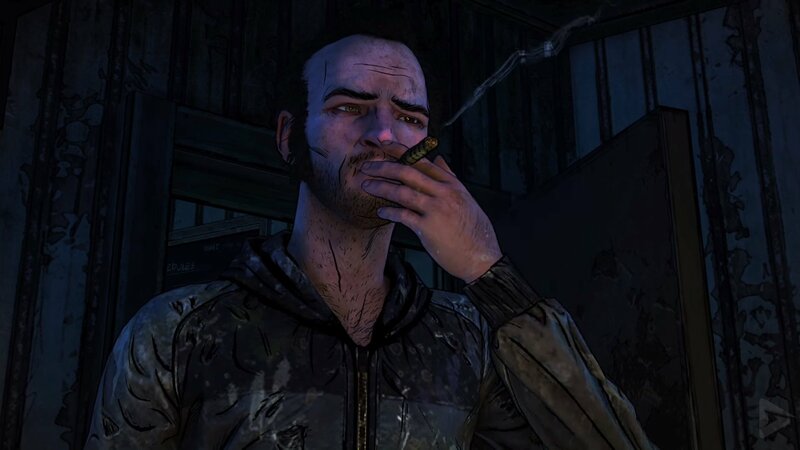 The third game in Telltale's Walking Dead series ended with Clementine leaving Richmond to find AJ in McCaroll Ranch, where Dr. Lingard had left him. At the start of 'Done Running,' Clementine and AJ are just back together again, with no indication of how they made it back on the road. However, AJ does make one passing mention of McCaroll Ranch and alludes to something terrible that happened there, which led to him and Clementine going back on the road. What exactly happened at the ranch? Did walkers invade? Was the entire place razed to the ground? Were they exiled, similar to what happened in Richmond? It's not too likely that the game will provide a direct answer to this question, but there are some blanks worth filling in. A New Frontier was good about filling in its blanks as the story went on (remember, we met Clementine and wondered what happened to AJ by the end of that first episode), which means there's a good reason to believe that players will eventually find out what happened that led to Clementine and AJ going back out on the road again. More than ever, is Clementine in over her head trying to raise AJ alone? 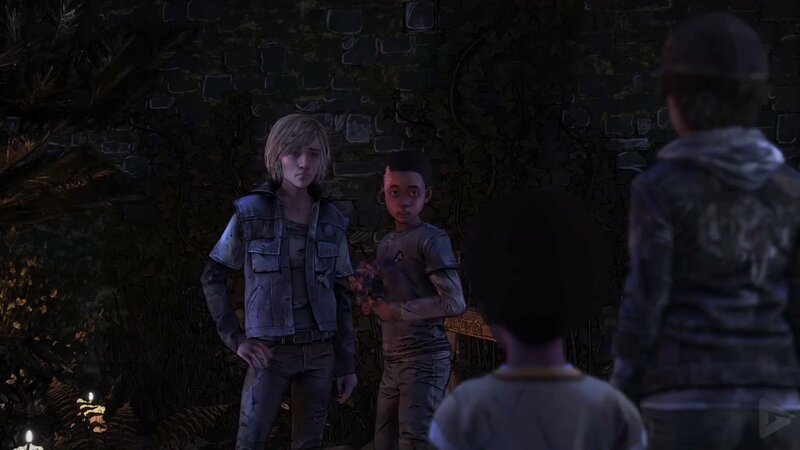 This was an idea that was first raised in The Walking Dead: A New Frontier, where David and his crew exiled Clementine and kept AJ themselves. The idea was that AJ was safer in their hands than in hers. In David's mind, how could a young girl safely care for a little kid all by herself? Putting aside how ironic this statement would become later in that same game, it turns out he might have had a semblance of a point. One of the biggest themes of this season is Clementine stepping into the same role that Lee had in the first game. Lee never expected or wanted to be a surrogate father, but circumstances necessitated it and he wound up excelling. He raised Clementine to not only be a survivor, but also to keep her humanity in the process. She's never forgotten the lessons he's taught her and has tried to pass them down to AJ. 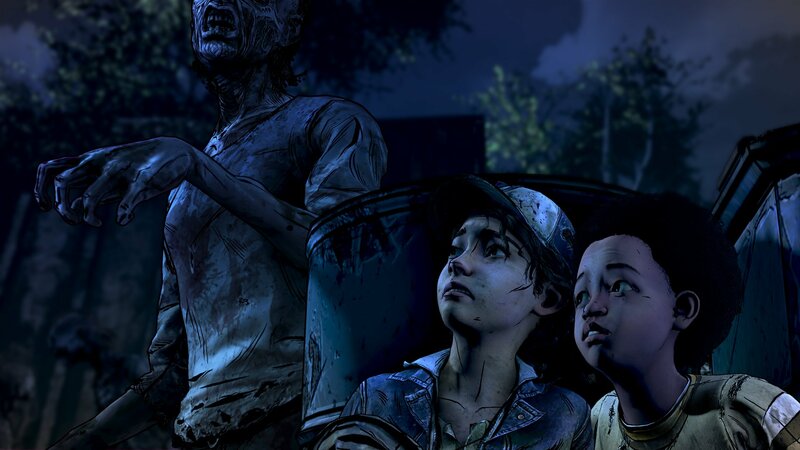 Unfortunately, there's the final scene where AJ kills Marlon and it brings Clementine's capability into question. 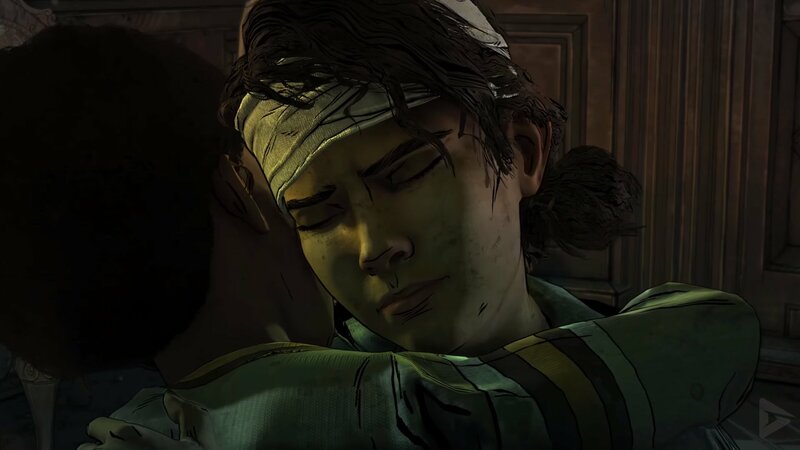 The most damning part of this scene is AJ ending the episode by repeating the lesson that Clementine passed down to him. AJ still has a semblance of innocence, still doesn't understand the complexities of the value of human life, and has a general under-developed sense of morality. As a fully grown adult, Lee was able to pass down his experiences in this area down to Clementine. But Clementine is still a young kid who's learning herself. She inherently cannot teach these same lessons down to a little kid like AJ, because the circumstances are so different. That's how a scene like the final seconds of 'Done Running' happens. And now it calls into question Clementine's capability as a surrogate mother. What she does next will be the key to her survival and to AJ's, because now she needs to teach AJ the value of life, the rule of law, and the concept of what it means to protect those you love while doing the right thing. The Walking Dead: The Final Season Episode 1: Done Running is available now on PC, PlayStation 4, Xbox One, and Nintendo Switch. Episode 2: Suffer the Children is set to release on September 25. Be sure to check out our full impressions of the first episode. Good article!! Loved episode 1 and yeah it did feel like they give lip service to season 3 and then totally ignore it. Hope they don't go George Lucas and have this season end like Season 1 with Clem in Lee's predicament. That seems to on the nose. Also AJ just growing like a normal kid but obviously has never had any vaccination in his life I'd guess?